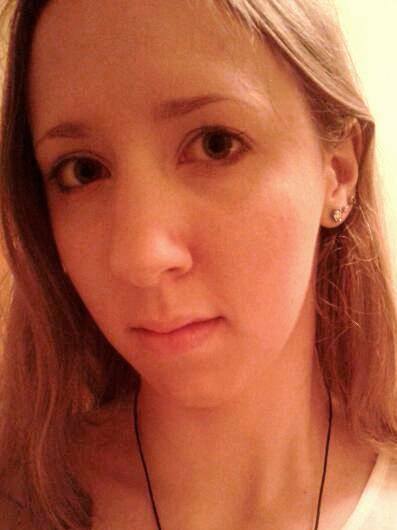 The Writing Greyhound: What Are Screen Dry Eyes? Have you heard of the term 'screen dry eyes'? Screen dry eyes is an eye problem which is becoming increasingly commonplace as more and more people spend more and more time in front of screens. Whether it's a computer screen, TV screen, or just your smartphone, in today's online environment, it can be all too easy to get caught up in the digital age and forget to take care of your body. We all know we're meant to take plenty of regular breaks during prolonged periods of screen time, but how many of us remember to take care of our eyes during long days spent staring at screens? What Causes Screen Dry Eyes? Eye health is vital - it is easy to take your vision for granted, but if it were taken away, imagine how different your daily life would become. Screen time actually reduces the eye's blink rate by up to a staggering 60%, leading to sore, tired and itchy eyes. These irritating symptoms are all signs of screen dry eyes - something which I am hoping to raise awareness of and encourage you to take your eye health seriously. In itself, dry eyes isn't an uncommon condition. As an overarching ailment, there can be many different causes, varying between people. But as we focus in on the specifics of screen dry eyes, this condition can cause regular dry eye issues to worsen due to the reduced blinking frequency associated with staring at screens. How Can I Reduce the Effects of Screen Dry Eyes? Of course, turning off the computer and walking away from the TV are great preventative measures, but when screen time can't be avoided, how can you reduce the effects of this issue? I have suffered from dry, itchy and sore eyes for many months now, a problem I largely attribute to 8 hours sat in front of a computer screen at work followed by another 3-ish hours sat in front of a computer screen at home. Computers are necessary in my line of work, and I love what I do, but being a bit of a workaholic has really taken its toll on my eye health. During the last few years I have had to start wearing glasses for the first time in my life, been told by my optician that I don't blink enough, and suffered with enough gritty, itchy eyes to last a lifetime. The only thing that helps me is eye-care products, specifically designed to combat the negative effects of dry eyes. I live by eye drops, using them religiously and never leaving the house without a tiny bottle tucked safely away in my bag. I use them about four times a day, sometimes more on particularly bad days, and the instant relief they provide is second to none. My favourite brand is Optrex, so when I was asked to review their brand new product, designed exclusively for screen dry eyes, I jumped at the opportunity. Optrex ActiMist 2 in 1 Eye Spray for Dry and Irritated Eyes is the perfect antidote to itchy, sore eyes. 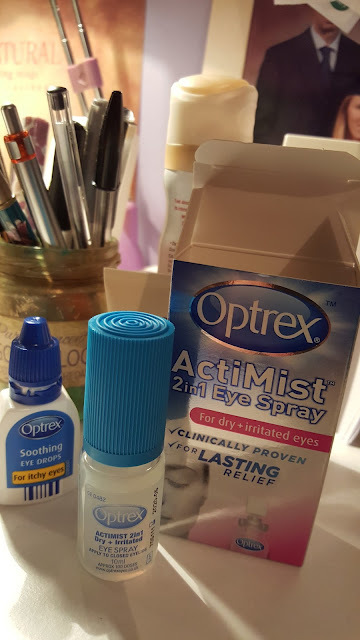 As I usually stick to drops, I was intrigued to see how the spray would work - instead of putting the liquid directly into your eye, with ActiMist, you spray it onto closed eyelids. I have to admit, this made me feel a little dubious, but after trialling the product, it definitely managed to win me over. After an initial light stinging sensation, my eyes were left feeling refreshed and rejuvenated, allowing me to crack on with my work itch-free. Optrex ActiMist 2 in 1 Eye Spray for Dry and Irritated Eyes is available to buy now from all major pharmacy and grocery stores. Do you suffer from screen dry eyes? Let me know in the comments below!